After well over a year of planning and development, and several months of beta testing, I have officially launched Long Tail Pro to the general public. This is a very rewarding experience to be able to take an initial idea and go through the entire process of building, testing, and finally launching. I know that many you have already jumped in at the beta stage of the software and I greatly appreciate that! 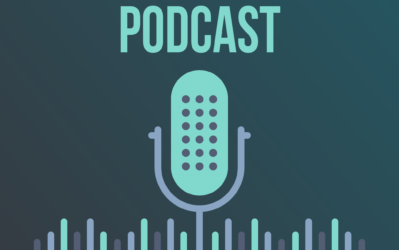 I am not going to go into great depth of about why I think Long Tail Pro is a revolutionary piece of software – I have already done that here. In addition just 2 days ago, I did an in depth video of how I was able to find nearly a dozen great keywords in about an hour and 15 minutes using Long Tail Pro. You read the post and watch the video here. 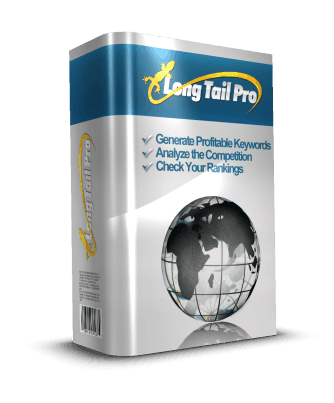 Purchase Long Tail Pro Here and Claim Your Bonus! Again, thank you to everyone that has already made Long Tail Pro so successful! Congrats on the Official launch of LTP! What about us, who bought LTP earlier from you? Do we get the Free Bonus of the LT Handbook? Gautam – I have updated the offer to now include ALL existing users of Long Tail Pro. I’ve received lots of emails of beta users that want it :). Simply follow the steps above and I will get you the ebook. So…what am I missing here? If I purchased the beta version already, how do I obtain a copy of the full version LTP Handbook? Buy yet another version – am I reading this correctly? Rick – Just updated the offer to include you and other beta users! Your voice is heard! Just email me your receipt. Congrats on the Long Tail Pro launch! I am an owner of Long Tail Handbook. It’s an awesome guide and it’s my inspiration building my Adsense Empire. It’s a step-by-step with daily action items and schedule. 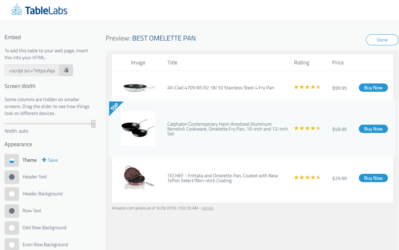 It gonna be a great value plus to Long Tail Pro. 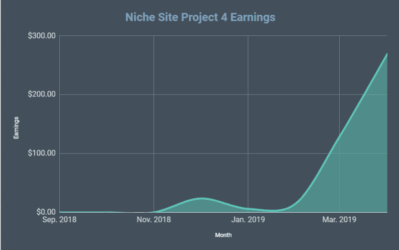 For those who want to build 4 or even 5-digit Adsense Passive Income monthly should grab this deal before it’s too late! Spencer my man.. I need to know the hop link for CB I love this man and am setting this up for success. Please email me the info, you have the email address from this comment. I enjoy using long tail pro Spencer, glad you’re able to do a big launch. The banners look great. Reading your tips inspired and helped me hit $2,000+ last month in adsense…I’m really doubling down on adsense sites now. Good luck with long tail pro! Hey Gabe – that is AWESOME to hear. Its humbling to hear that some of the advice I offered may have inspired and helped you along the way. Thanks! Just a quick note for those who are sitting on the fence and considering it….stop considering…buy it. I’ve been using it since July. You’ll love it and it will save a TON of time. Thanks Spencer and congrats on your public launch! I’m a mac user. Can I use it? Absolutely it works on a MAC. Its based on Adobe Air, so as long as your machine runs adobe air, then it will work. We already have lots of MAC users (including our lead programmer 🙂 ). Very generous Spencer, and much appreciated! I’m sure LTP “the book” will provide lots of guidance for me as well as others. And I second Shae’s comment- if anyone is on the fence about purchasing, just DO IT. It’s well worth it. Spencer, terrific offer. Will you be updating the software when Google keyword tool makes changes that may cause problems [with the software]? Of course Duane. We have already updated several changes that Google has made in the past few months and will continue to do so for the long term. I have a dedicated team of programmers and we are pretty quick about detecting and implementing any changes that may occur. I just bought LTP. Looking forward to the “original guide”. To everyone else, the initial reason I bought it was to get the guide since I thought I already had a solid KW approach, however after using LTP, its extremely less hassle. Thanks Young for your quick review! Just purchased the software and got the download for the ebook. That was quick! I wanted to thank you for making this available, I’m using LTP right now to generate my first list of keywords. I can’t wait to see what it comes up with. You, sir, are the man. I’ll definitely update as soon as I find my first niche to pursue. Hi Spencer, Great software, I think it saves at least 80% of time for keyword research. You said each niche website would contain 5-10 posts in the beginning, mwanwhile you will prepare orginal article (say 3 articles) for ezine, and you will need 8-13 article for each niche website, each article cost you $8, and you have to spend some on building back links, is that mean you would spend over $100 for each website? Spending over $100 per site is very possible. However, if you start with just 5 articles and then either spin some of those same articles or spin PLR content, for link building, you can get it done for much cheaper. I am interested by the offer Long Tail Pro + ebook but is that Long Tail Pro works with the recent change in Google PR, because Google has changed the address that generated the previous PR and there is a new one. Yes, Google made some changes. The software will be updated to match these changes very soon. We are working on it. I saw you’re using CB for this. Do you provide an affiliate program for LTP as well? Yes, but its a private affiliate program. You can apply here: http://www.longtailpro.com/become-an-affiliate-of-long-tail-pro/ . It wouldn’t surprise me if Spencer sent you a free copy because he’s that kind of person. Do you realize how much he gives to this community? He is helping all of us to grow our business and creating a place where we can share ideas. I think most of us are happy for the opportunity to give back by buying his software. Spencer has a right to make a living just like everyone. Besides that, Spencer has been doing this for years and was selling Long Tail Pro even before he created this site. In addition, Spencer has explained how you can do everything LTP can do for free. The software just makes it easier. I’m sure its tough where you live and I feel for you, but internet marketing is tough for everyone and you’re not going to get anywhere asking people to feel sorry for you. Nobody is going to hand you anything in this life. Success does not depend on what tools you are using. It depends on hard work and a focused plan. Without that, you can have all the tools in the world and it won’t make a difference. I hope you figure things out. semir, I’m from Africa and there are many of your type around. You don’t want to work, but just want things given to you. Spencer worked for what he has and I’ll assist him any day. can we use one license on multiple desktops? Yes, you can use the same license on 2 computers. hey spencer- it looks like an amazing tool. congrats on the launch and thank you! I was wondering how many computers i can get the long tail pro on before I purchased it. Is it just one? sorry! i should have read the comments first. can’t wait to dive in and start building niche sites. keep up the great work. Oh man, so Tuesday is the last day? I have to hurry up and get some money in my PayPal! Glad that you are finally launching the software. It is great piece of software that I have been lucky to use for over a month now. just purchased it now … can’t wait to give it a rip this weekend! Great, I can’t wait to pick it up Spence! Not to mention a full copy of the Long Tail handbook! spencer did a good job in making ltp and other valuable informations on this site! i appreciate that! i thought ltp came after this site…sorry.. I am a complete newbie at this stuff. As soon as I digest the free book I will be purchasing LTP. However, I am really confused about a few things. What is the difference in Article Samurai and LTP other than the cost? Second, If I have existing domain names can I use LTP type products for the articles or do I have to start new sites? Be nice if I could get the key. Ticket to support has been done. Glad you got it. The licenses are delivered automatically and probably get stuck in junk mail every once in a while. Enjoy using the software and good luck finding some great keywords! Hi Spencer. I’m a Market Samurai and Niche Finder user, looks like your software is much better than them. Considering buying it but would like to know a bit more before clicking the buy button. I want to know if I can specify the location to, say, Australia or UK, to find monthly local searches? About EMD, it seems from the video that co.uk is the only non-US domain that could be searched. 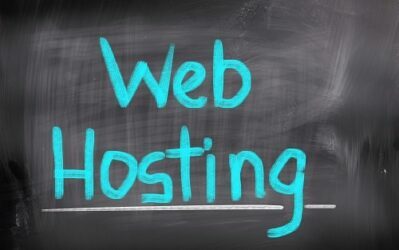 Any chance we can use your software to check availability of other domains in the future? Finally, could I use the rank checker for specific countries? If I build a co.uk niche site, I would like to know its ranking on Google UK instead. Yes, you can specify any location (such as Australia or UK or others) as your location when you create a campaign. This will pull search volume for that location. Also, we are currently working on adding the .com.au extension – others are very possible in the future. Finally, currently only US results are checked for the rank checker. The competitor analysis does support the UK, Australia, Canada, and the US. However, I think the ability to check the ranks in different locations is a good suggestion – I will look into adding this as it shouldn’t be too difficult. Let me know if you have any additional questions…thanks! i am feeling so jeouls of spencer! i am hard working! i dont know why the money runs the other way when i chase it! beilve me if u were with me you would know how hard it is to get a free internet connection around town! may be internet marketing is not for me! spencer keep it up! now the software selling stuff should add another 30,000$ to your monthly earnings. i appologize if i hurt anybody!and it would be great if i meet u james! in what african country are u in? i think this software will help everybody! have fun making money! Love the update, Spencer! Thank you so much. The tool sounds great and the book. Unfortunately will miss the book as won’t have enough spare funds this month. The tool sounds well worth the money anyway. I found your site by chance through the BTF forum (Bring the Fresh), of which I’m a new member. I’m totally blown away by the amount of valuable and FREE content you have on this site. I’ve already subscribed to your mailing list and downloaded (and devoured) your FREE Long Tail Handbook. It’s a fantastic guide, especially love the competition assessment part. I’ve tried both Micro Niche Finder and Market Samurai. Both are great software, and they both have their strengths and weaknesses. But, when I watched the Demo videos of your Long Tail Pro, it’s just 1 notch above. And it seems so fast and easy to use. I’ve been hesitating to buy Market Samurai because it’s laggy and tends to hog computer memory and crashes a lot. Also, it can’t do multiple seed keywords at 1 go, that’s a huge advantage when you’re doing keyword research across multiple niches with thousands of keywords. I especially like the “domain availability check” feature on long tail pro. My site was recently affected by the latest Google update (16Oct2011), and traffic dropped by 60-80%. I was doing an authority autoblog and ranked for 15-20 keyword and was getting around 120 visitors / day at its peak. I was able to rank for top 10 for most of my keywords, and 5 of them ranked top5 in Google. So naturally, my adsense earnings went up as well to about $3/day. But overnight, nearly all of these keywords were bumped out to >100 in SERP. (By the way, I’m a newbie, and just started in May2011, so my site is barely 4months old.) The only consolation is, my site has not been de-indexed, but I had no clue why it was penalized. 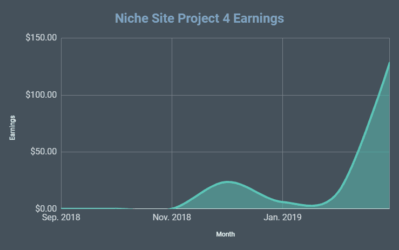 My question then, if I continue to build niche sites using my existing adsense account, will they get penalized as well, since maybe Google may have already blacklisted me? Also, I’m very keep in getting your Long Tail Pro software, (since I’ve been looking for a keyword research tool to add to my IM arsenal for the past 2-3months), and even more so for your Long Tail Handbook Full version. But I only found out about your site yesterday, so I’m about 10-11days late on this offer. 🙁 Is there a way that you can still sell this eBook to me? Perhaps you could create a difficulty index that regroups all the indicators needed to a keyword research in one. An index that says : Hey this keyword is very easy and this one is not ! Its in the works actually Arnaud!